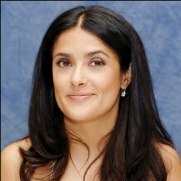 An anonymous post on the imageboard 4chan.org has provided MobileMe login details for Hollywood actress Salma Hayek, according to Electronic Pulp. The account apparently was not incredibly difficult to hack, carrying the address of shayek@mac.com. The intruders did not need her password, they simply used the “forgot password” option to access the contents. Hayek’s secret question allegedly asks for a “favorite character,” which happens to be her own character from the 2002 film Frida. The birthday is also required, although the information is also easily obtainable. It remains unknown if Apple plans to change the lost password requirements for MobileMe. For public figures, however, it is clearly unwise to protect an e-mail account with questions that can be easily answered after taking a quick look on Wikipedia.